Are you moving your business to Singapore? With all of the advantages that this process offers, there is no doubt it makes sense to do so. Yet, many people don’t realise that moving to another country also means hiring new staff. Whether you are bringing in staff from your current country (and current staff) or you are planning to hire those in Singapore, you should know a lot about employment passes. When you work with our team, you will be working closely with experts who will ensure you can make this process as seamless as possible. There are a few important things you should know about employment passes, though, before you get started lodging your Employment Pass application. Before you make your move, there are a few key things to know about those people you plan to hire to work for your company in Singapore and getting them employed legally in the country. Becoming an EP holder is the desire of many who wish to possess this work pass which will enable them to legally work and live in Singapore. To apply for an EP is easy enough, and the process can even be completed online via EP Online if you are not physically present in Singapore. This means that you can lodge your application to become an Employment Pass holder even before your arrival in Singapore. (Most Recommended) Employment Pass: This option is ideal for those situations where the holder just graduated from a recognized college or university. The individual may be earning less, usually in the range of S$3600 to S$4500. Generally, this employment pass is an option for those who just got out of school and cannot find work in their current country of residences. Employment passes are valid for one or two years depending on the type and the reason for which you are obtaining it. If this is the first time you’ve obtained the pass, the pass may be prolonged up to three years. There are some specific situations that may require specific types of visas. That is why it is always best to work with a professional with ample experience in Singapore employment passes. For employees who are visiting the country to work short term, which would be for two weeks up to six months, a short-term employment pass or a training employment pass may be a better option. 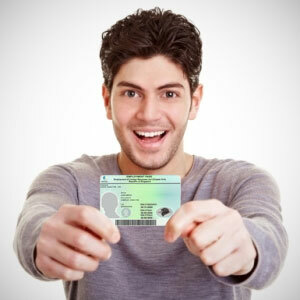 In nearly all situations, you will be able to renew your employment pass. Renewals are not often refuted unless there is reason to believe you’ve violated any terms of the plan. In most cases, these renewals are good for another three years of staying in the country assuming you still have employment. The process may seem confusing and there are a lot of working parts to it. However, the overall system allows for you to complete your pass in no time so there is as little delay as possible. Engageg Paul Hype Page in-house personalize Employment agent to assist in your employment pass application for a smooth and hassles free Work Visa application!